On November 20, 2018, Janet Cundick Lawson died from complications associated with cancer. She is survived by her husband Dal Lawson and her children: Shannon (Julie) Lawson, Carreen Swenson (Matt), Brendun (Leslie) Lawson, Devan (April) Lawson, and Ryan (Jill) Lawson. She is also survived by: one sister Carolyn (Steven) Nelson of Centerville, 17 grandchildren and 10 great grandchildren. There will be a viewing on November 27, 2018 from 6-8pm. at Tate Mortuary (110 S. Main, Tooele Utah). Funeral services will be held on November 28th at the LDS Skyline ward, on 777 Skyline Drive, Tooele Utah at 11;00 am with a short viewing period prior to that service starting at 10 am. Interment will be at Elysian Burial Gardens/Millcreek Cemetery, 1075 East College Street (4580 South) Millcreek, Salt Lake County, Utah 84117 at approx. 2 pm. Janet was born to Morris and Bertha Cundick on April 30, 1941. Janet and her sister Carolyn lived a modest, yet idyllic childhood in the South Jordan and later Sugarhouse areas of Salt Lake County. She was a proud Alum of South High school, class of 1959. Janet worked briefly for See’s Candies and Beneficial Life insurance, right out of high school and also studied a semester at Brigham Young University. Later in life she worked at the Tooele Valley Hospital and for several years at Zions Bank, where she made many wonderful friends. Janet met her future husband at Auerbachs department store, when he promptly declared” Marry me! We’ll learn to love each other later”. Janet and Dal Allen Lawson, were married in the Salt Lake Temple, on Friday the 13th of September, 1963. A son, Shannon Dal Lawson, was born the next spring. In 1966 Janet had a daughter, Carreen, with whom she spent many, many hours both as a young girl, a young mother and as an adult. Priceless time spent with the only daughter she would have. Brendun (‘68), Devan (‘72) and Ryan(’77) came later and were a great joy to her. 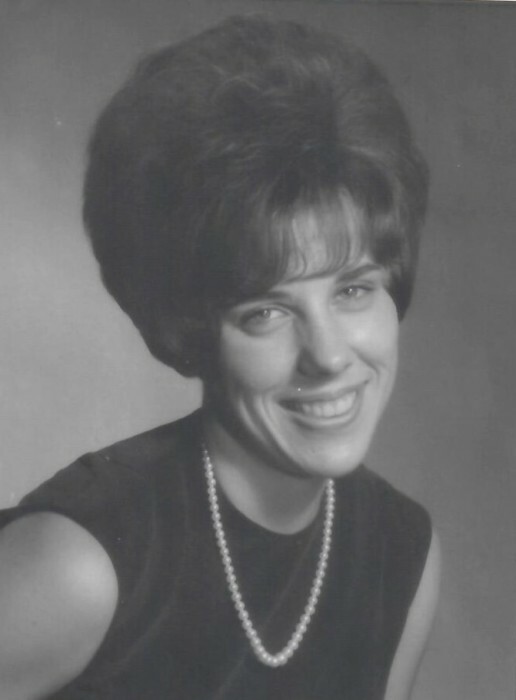 Janet wanted to be a mother, and so for the next 50 plus years, she devoted herself to her family. Her greatest joy was having her family around her and so she created many traditions, associated with holidays to have them near: from camping over Memorial Day, to Chinese under the Christmas tree on Christmas eve. Along the way she developed her many talents: she played the piano and would accompany songs at home and in the primary or relief society in whichever ward they were in. She loved to do crafts and decorated her home with impeccable style. She was a talented painter, but never found the time to pursue those interests, choosing instead to put that time and money into many lessons for her children. Janet loved to cook and anyone who knew her, knew she was always looking for that perfect recipe. She knew all the familys’ favorite foods and often would treat them for a birthday or other special occasion with their favorite dish. She expressed her love through her cooking. Janet was a great asset to her church. She was a devoted member of the Church of Jesus Christ of Latter-day Saints. She loved the Lord and served him continually throughout her life. Early in her life she served in various presidencies for the Primary, and as president several times. She also served in the Relief Society as president and counselor on both the Ward and Stake level. Her acts of service spoke volumes to us as children as we saw her implement on a daily basis the pure love of Christ. Janet enjoyed time spent with old friends, especially going to lunch with the “girls”. Thank you to those “girls” for including our mother in those frequent gatherings. Mom and Dad moved to Erda in 1975 and quickly assimilated into the surroundings and community and they have felt a part of that community, even though they haven’t physically been there for a few years. They treasured the friends they made and consider them to be lifelong friends. They had a special bond with my dad’s brothers and their wives: Doug and Ann Lawson, where they could often be seen at Sun Lok Yuen eating dinner, and David and Robyn Lawson. This time of year was my moms favorite time of year. She spent countless hours looking for that special and meaningful gift. Her house was always pleasantly decorated and warm with the sights and smells of Christmas. She never lost touch with the reason for the season and always reminded us to stay Christ centered. As a family, we would like to say thank you for remembering our wife and mother, grandmother and great-grandmother. We are truly blessed for having known her. May we all will find peace through our Lord and Savior, Jesus Christ.